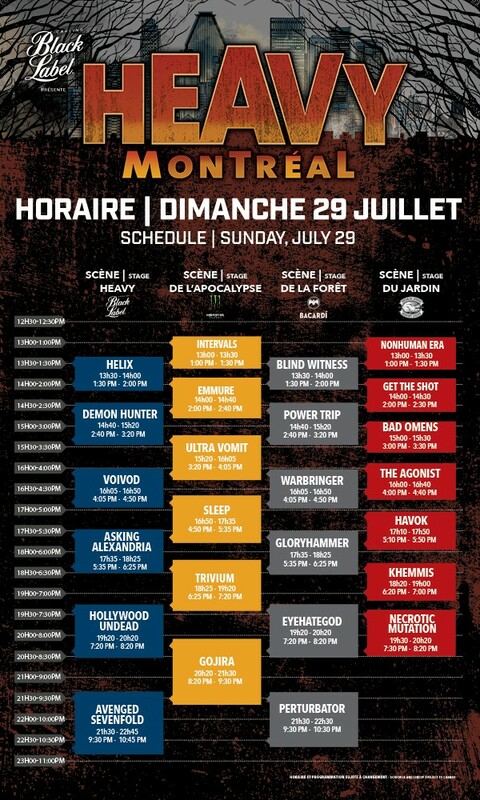 HEAVY MONTRÉAL presented by Black Label is just around the corner! 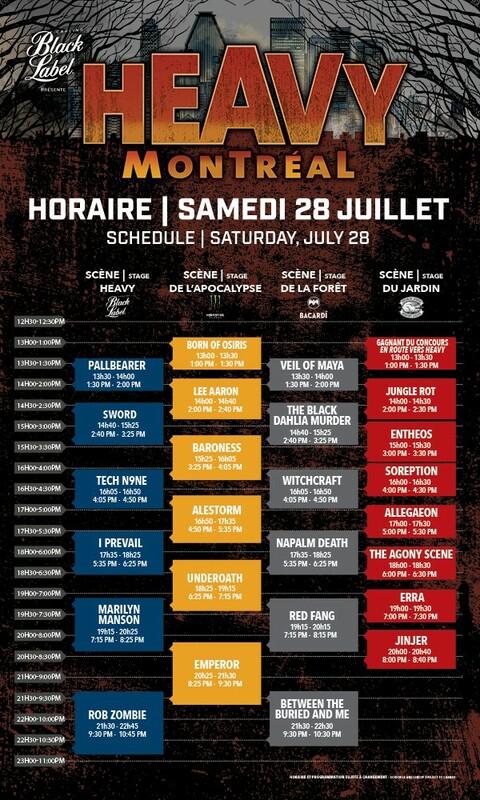 Here is the long-awaited daily schedule for Canada’s premier heavy music festival which is set to take place on July 28 & 29 at Parc Jean-Drapeau! Previously announced, American metalcore Emmure, Ontario native Lee Aaron have been added to the lineup! Also, HEAVY MONTRÉAL is proud to announce that local metal band Sword & death metal band Jungle Rot will be part of the festivities! SINGLE DAY & FESTIVAL PASSES ARE ON SALE NOW AT HEAVYMONTREAL.COM! Gives access to the Casino de Montréal platform located near the main stage, with private washrooms and exclusive food & beverage stands. More new bands for Rock for People announced!